The Coaching for Development is a six-month programme in the study and application of Integral Coaching. It is an intensive coach training and apprenticeship programme designed for participants to emerge as coach practitioners, able to see the world through someone else’s eyes, and at the same time able to skilfully coach them to improved performance in any aspect of their lives. This course is ideal for those who are interested in evoking excellence in others while also being open to receiving coaching themselves so they too can bring forward excellence in their own endeavours. Group sessions — flow and philosophy of coaching; exploration of coaching models. Individually — reflections, assignments, your own development as a coach. In small groups called learning pods — supported by your mentor coach, a Professional Coaching Course (PCC) graduate. In pairs with a self-chosen buddy coach from the class. The balance of work between modules is self-paced, including readings, written assignments, and three detailed case-study applications of this coaching method with clients. Each delegate receives written feedback on each of their assignments – a rich source of learning and reflection. There is on-going support provided by the Centre for Coaching faculty over the six months. 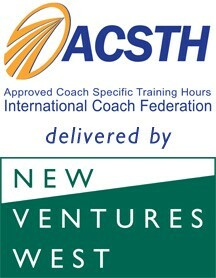 The International Coach Federation is the leading global organization dedicated to advancing the coaching profession by setting high standards, providing independent certification and building a worldwide network of trained coaching professionals.Under the auspices of our learning partner, New Ventures West, completion of this CfD programme will earn you 90 Approved Coach Specific Training Hours (ACSTH). In order to indicate your interest for the Coaching for Development course, please complete some basic info to start the application process and we can send you some more information. If you would like to apply right away, please indicate this in the ‘Other’ below and we will send you the link to complete our new Online Application Form.